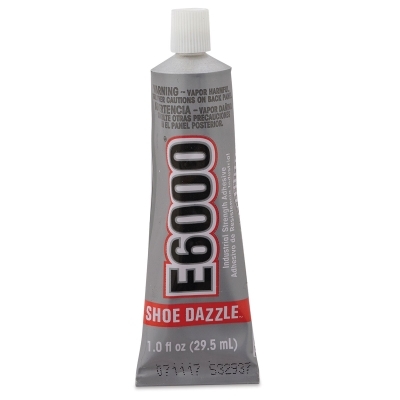 Trick out your shoes! 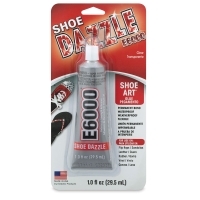 Shoe Dazzle adheres most decorations to various shoe surfaces, including leather, vinyl, canvas, and rubber. Its nozzle tip makes it easy to use with smaller objects. Plus, it flexes with your shoes. 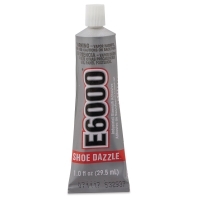 It's waterproof and UV-resistant, and non-flammable after curing.